Are you aware that you have a pineal gland in your brain? This gland is called "the seat of the soul." Most people don't even know they have it and ANYONE can learn to use it! Do you wish to strengthen your intuition and psychic abilities? Clairvoyance and see spirits? Would you like to see inner and outer planes and the spirits that inhabit them? Do you want to discover astral projection? You can! You will be able to see auras and see the world in a new way! It all starts with meditation!! You have chakras in your body and the third eye, your sixth chakra, located right between your brows on your forehead, is called the Anja Chakra. Here are some easy steps to start meditating and start your journey to higher consciousness! It all starts with realization that you have a connection to your body and the world. Your chakras!! If you are reading this then congrats! First step complete! Preferably somewhere in nature. Make sure you won’t be disturbed for some time. 3. Turn on some binaural beats and iso-chronic tone frequencies. These beats tune into brainwaves and give a calming effect. Binaural beats therapy is used for many things like increased focus for meditation, anxiety, improved sleep and mood. You can find a lot of good tracks on YouTube. Headphones are a MUST in order to get the correct effect of binaural beats. 4. Sit in the cross legged position and relax. You can close your eyes, or stare at a candle flame, focus on your breathing. You can also find many good guided third eye meditation videos on YouTube where someone can walk you through the steps. I find this helpful for first timers and beginners. The guided meditation videos can help you get familiar with the process. Try to become relaxed until your thoughts are gone. This takes practice! The first times your mind will wander, that's ok, accept the thoughts and move on, don't fight them. 5. An important thing to always do is surround yourself with a protective white light. Imagine a big ball of white covering or cloaking you. Keeping negative energies out. 6. Now would be a good time if you wish, to call upon your spirit guides to help you along your awakening journey. Everyone has a spirit guide from birth to help you. I will post another story on this more in depth, but they can help you. They want to, just ask. 7. Close your eyes and look where your third eye is, in between your brows and towards the forehead. Start visualizing your third eye. Once you see it, visualize it opening, over and over. You may even rub the space. Some find it helpful before meditation begins to rub essential oils here. 8. Let your visions and thoughts flow, meditation is different for everyone. Some may feel a pressure in the third eye area, others feel a dull headache, and some see visions or spirits. Your experience will be unique to you. Do not be discouraged if nothing happens to you the first time you try this. This is a practice and meditation takes time to master, especially if you're new at at. 9. When you feel you have meditated long enough, start focusing on your breathing again. Be aware of your body and feel the earth beneath you. Become aware of your surroundings. Slowly open your eyes. Don't just limit meditation to your third eye chakra, meditate on all your chakras and feel the power each can bring you. The third eye chakra works best when all other chakras are flowing too. You will be a better soul for it. 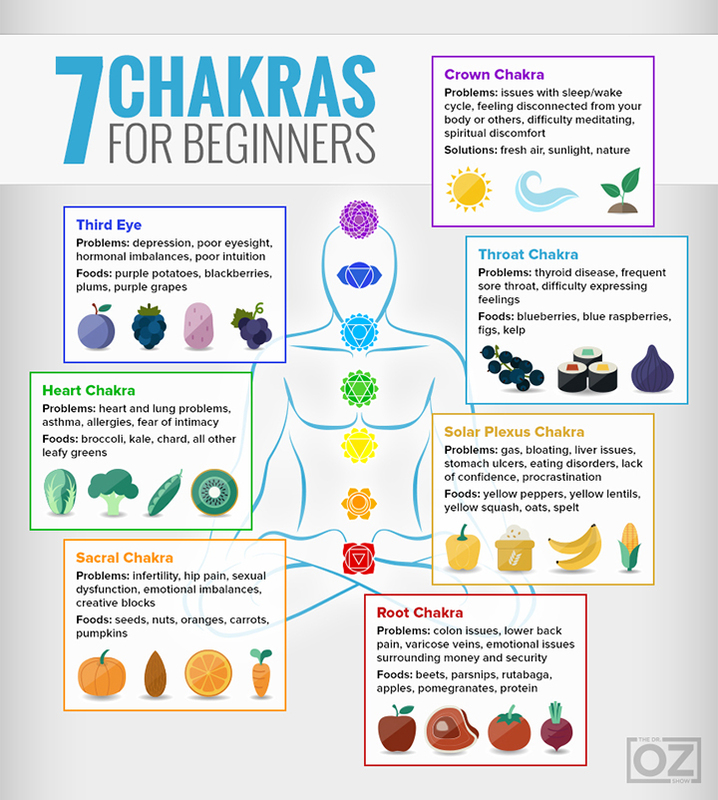 I encourage you to do research on all chakras and meditation! Congrats, you now know where to start. Get to meditating! **DISCLAIMER** I recommend you do NOT listen to binaural beats or try to meditate while driving or operating machinery. Third Eye, Meditation, and Binaural Beats. Is an old soul. Art is life; photography, drawing, painting, music, makeup, writing. Obsessed with the dark side, Hinduism🕉️ & Witchcraft☪️ Meditation & Finding Higher Self Conciousness. Former addict. Current work in progress. Why Is a Cup of Hot Raw Cocoa Good for Your Health on Every Morning? Top 3 Home Protection Crystals: Which One is Best for You?